Dutch State announced Friday that it will sell a portfolio of 6.4 billion euros ($ 8.7 billion) of securities backed by mortgages that they took from ING during the financial crisis, so the Dutch bank will pay earlier than expected State aid, according to Reuters. The original agreement between the Government of the Netherlands and ING in 2009, was aimed at reducing the risks and uncertainty that came from securities backed by mortgages for finance group. 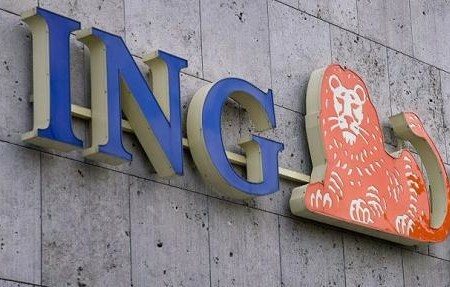 In 2008, ING received state aid worth 10 billion euros, and to obtain the approval of the European Commission was forced to cede part of their activities and to separate banking from the insurance. “Developments in the markets allow us now to sell shares, a profit for the state” is written in the statement ING, informs Agerpres . Analysts estimate that, therefore, the Dutch bank may pay state aid earlier than expected. “This announcement is positive for ING, where it was involved in two lines state: securities backed by mortgages and state aid. Through this agreement on securities backed by mortgages, ING has a extended motivation to pay state aid earlier than expected. Probably until the middle of next year will be paid all the money, a year before the 2015 deadline, “said Cor Kluis, analyst at Rabobank. Last week, the bank announced that it will pay 1.12 billion euros since November 6, including the interest rates, so the total amount paid to the State reach 11.3 billion euros. Another installment will be paid in March 2014 and the last in May 2015 as ING calendar. According to agreement agreed upon with European institutions, ING must sell at least 25% of the shares of ING U.S. by the end of 2013 and more than half by the end of 2014 and the rest by the end of 2016. Also, by the end of 2018, ING Global must complete sale of global insurance operations.